I picked this up a couple of months ago and finally got to restringing it and taking a few photos. It was sold to me as an 84 st50. Everything straight and plays beautifully. Can anyone confirm model and year please. 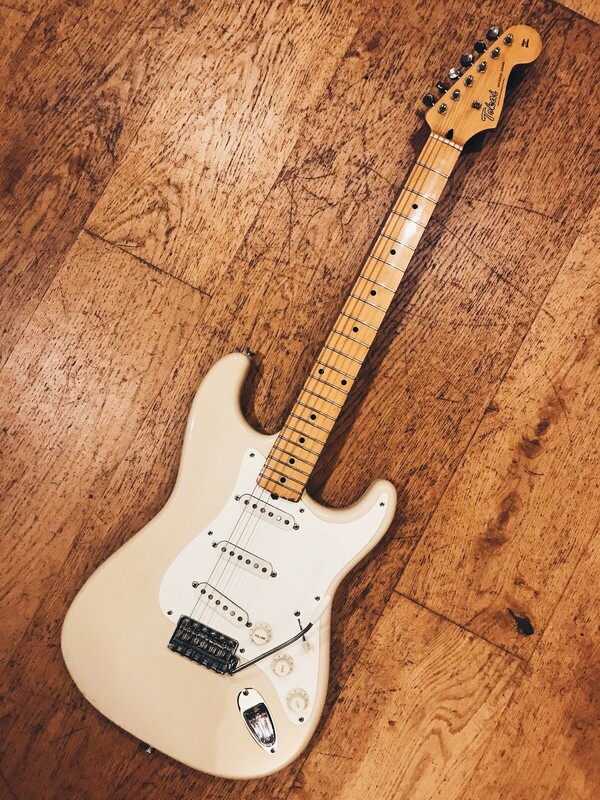 Looks like an 84 ST50 but the serial number is that of ST 60 which should have had E pickups not the later V11s.The body and neck stamps are pretty close although this is not a clincher as we have seen many genuine Tokais with codes which do not match.Nice guitar enjoy! Would an st60 be finished in nitro? The seller claimed nitro but i can’t see any sign of the grain coming through. On Springy's, ST80 and above were nitro - not sure about the Goldstars. Take some 100% acetone and test an inconspicuous spot like above the rear strap button with a Q tip. If it's nitro, the acetone will start to dissolve it when rubbed with the Q tip. Goldie ST60s were always poly.Only Goldie St 80s were nitro. The guitar is a ST50, like the sticker says. Mine is similar, but has a 5 digit serial number. 1983 tokais have block logo (only that year) Hodge. No, the block logo was late 1982 and early 1983. I bought my guitar in November 1983 and it's the like the one above. I have adverts from October 1982 for Tokai Strats with the block logo.